At the recent Electoral Area Directors’ Forum Asset Renewal was heavily represented on the Agenda, in the Workshops and during the networking opportunities. It was apparent that many communities in B.C. are struggling to maintain their infrastructure. As much as 30% of Canadian water systems are substandard, we all know what the roads are like and major infrastructure disasters are occurring in eastern Canada and the US. With aging infrastructure and the negative impacts of climate change on that infrastructure governments are truly facing some daunting challenges to maintain service levels and reasonable costs. The numbers represented on the picture above came from one of the LGLA Workshops I attended. 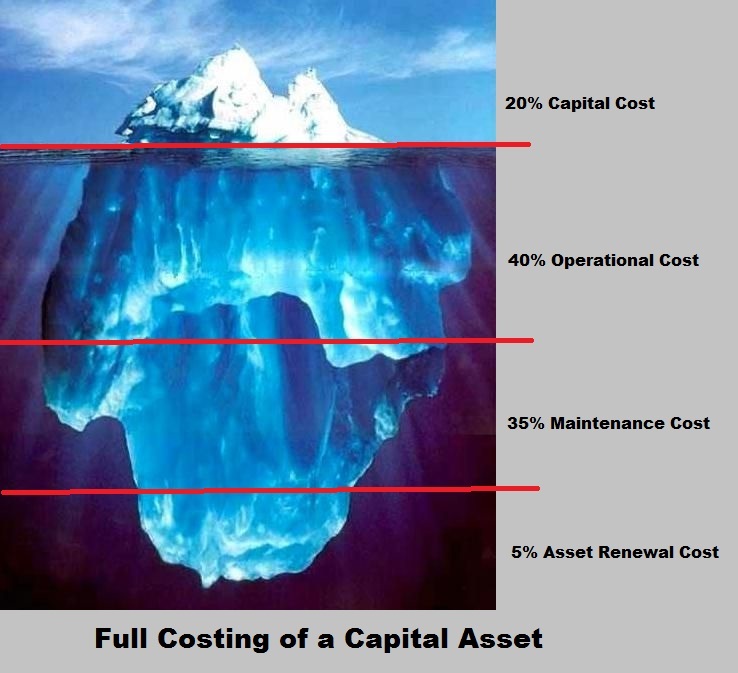 This is a more realistic overview of what a capital asset will cost over its service life. Costs associated with an asset are determined by participation within a Local Service Area defined by a Bylaw. If you are within the boundary of the Bylaw Service area you will pay for the service in one or more ways. For example Water cost has a Basic, Consumption and Asset Renewal components to its cost and is billed quarterly as a utility as is Solid Waste. 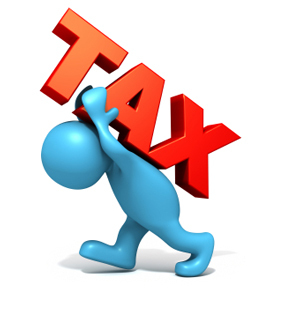 Fire departments and Parks on the other hand are annually on your tax notice. Residents must be knowledgeable of what is asked for and do their best to determine actual lifetime costs for the infrastructure put in place today. To just focus on the Capital Costs leaves 80% of the true cost out of the argument and we now own an unsustainable asset. Remember like the iceberg above shows; it is whats under the water and unseen that sank the Titanic and will do the same to any inadequately funded assets. ¹Local Assets – Water Systems, fire trucks, park equipment, transfer site, community halls, fire halls, service vehicles, sewer systems, etc.